The Moss Landing Harbor is the number one commercial fishing harbor in the Monterey Bay with 600+ slips for recreational boaters and commercial vessels. Partnering with marine research and education, the Moss Landing Harbor District (MLHD) provides full public access to the environment. Designated as a year round port of safe refuge, Moss Landing Harbor provides safe, reliable marine refuge and services to boating members of this community and welcomed guests. Moss Landing Harbor District continually strives to protect the surrounding natural resources and preserve our fishing heritage, not only for the enjoyment of this generation but for generations to come. We offer a great value on our slip fees compared to 45 other California Marinas and Harbor. Take a look at our rates and see for yourself! Call for available discount offers! Contact the Harbor Master's office for restrictions and more details. Berth rental fees for assigned, temporary, and transient berths are set forth in the Moss Landing Harbor District Ordinance Code. Fees are typically adjusted July 1 of each year. Please view the District Fee Schedule for the most current rates and fees. Sport fishing, whale watching and special excursions are available. There are charter services located right here in Monterey Bay Harbor. For those who enjoy nature and wildlife tours, paddle the Monterey Bay National Marine Sanctuary by kayak, observe playful sea otters and harbor seals or just relax aboard a comfortable pontoon boat listening to stories about the local marine life and birds of the area. Shopping and dining…. We have the freshest seafood, hearty portions and creative entrees. Sip your coffee as you stroll along the local shops for a variety of antiques and gifts. Moss Landing Harbor has permanent slips available now! 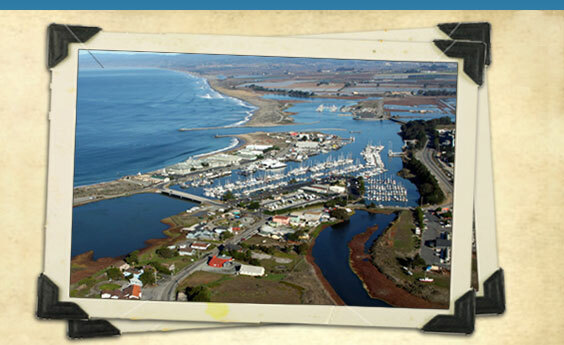 Call 831.633.2461 and start enjoying all the amenities Moss Landing Harbor has to offer.